*Festive Klaxon* THERE’S ONLY ONE WEEK TO GO FESTIVE FOOD LOVING FRIENDS! If you’re anything like me, the frenzy of kitchen activity will be in full swing right about now. It’s a little different here this year though, I have two small extra pairs of hands keen to get involved in everything going on. My tiny two are desperate to get stuck in and these little truffles are perfect for a rainy afternoon make. VERY messy, but loads of fun. First things first though, this is the last week of #FestiveFoodFriday for bloggers to share their Christmas recipes with Kerry Cooks and I. Pop over to Kerry’s blog to see all of the foodie inspiration that was shared last week. We loved reading all of the recipes and can’t wait to see what’s coming up for our final week. What are you cooking this week..? Thank you all for sharing your recipes with my readers and the followers of our giant Pinterest board. If you’d like to link up this week, please read how below.. Follow TamingTwins.com’s board Festive Food Friday on Pinterest. Tag any festive food or drink photos with #festivefoodfriday. Each week Kerry and I will pick some of the most mouthwatering/funny/calorific and repost them. You can follow me @tamingtwins and Kerry at @kerryedwards. Please say hello! Link up your festive season food or drink posts using the widget below. They can be recipes, round ups, drinks, meals out, anything that’s inspiring to festive food lovers. Old and new posts are welcome. You can add up to 5 posts each week if you’d like. We will pin all of the posts added to the Pinterest board, which has over 400,000 followers. The linky will be open until MONDAY 8pm. Please visit and comment on at least 2 of the other posts that have linked up, per post that you add. Spread that Christmas cheer! This really helps to make the community. 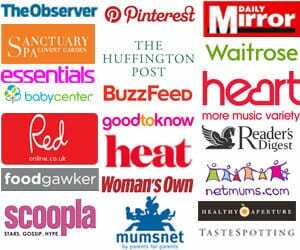 If you follow us on Twitter and tweet a link mentioning @tamingtwins and/or @kerrycooksblog and #festivefoodfriday, we will RT them. Each week we will write a round up on one of our blogs, linking to every post linked from the week before (this will include a photo from your post – please only enter if that’s okay). Please spread the word, the more the merrier! Can’t wait to see what festive makes and bakes you have in store for this Festive Food Friday. Don’t forget to share on Instagram too by using #festivefoodfriday. 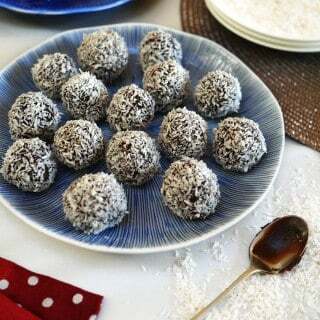 Chocolate Snowball Truffles - Perfect Christmas make for children to help with. These make a great rainy day activity, and are fab to give as gifts! 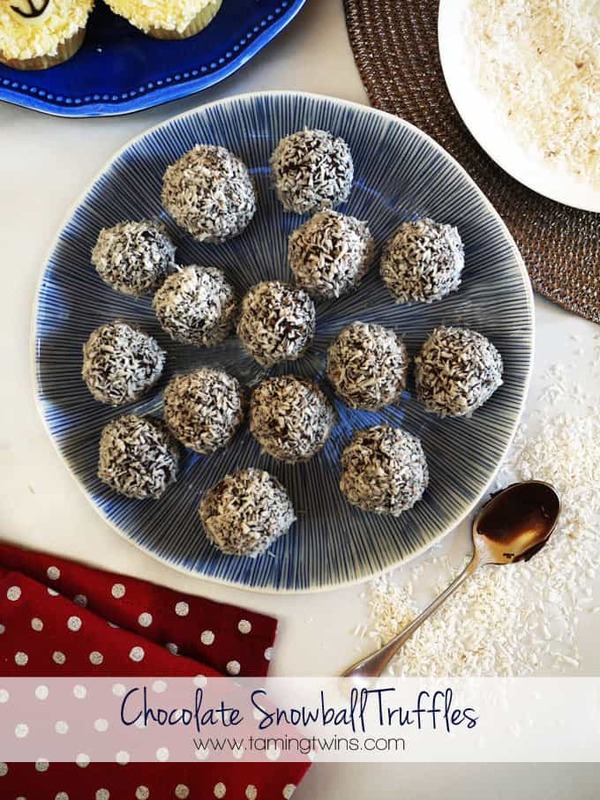 Simple, coconut winter truffles! Heat the cream in a pan until a bubble or two appear around the outside of the pan. Meanwhile chop the chocolate into very small pieces (I'm lazy so I tend to do this in the food processor). Put the chocolate into a bowl and pour over the hot cream. Leave to stand for 2 or 3 minutes and then stir until totally combined and smooth. Put the mixture in the fridge for about 3 hours until very solid. Pour the coconut out onto a dinner plate. Using 2 teaspoons, scoop up small spoonfuls and then push off the spoon with the other one. Roll in your hands until a ball is formed, roll the sticky balls in the coconut. Looking for more truffle ideas? 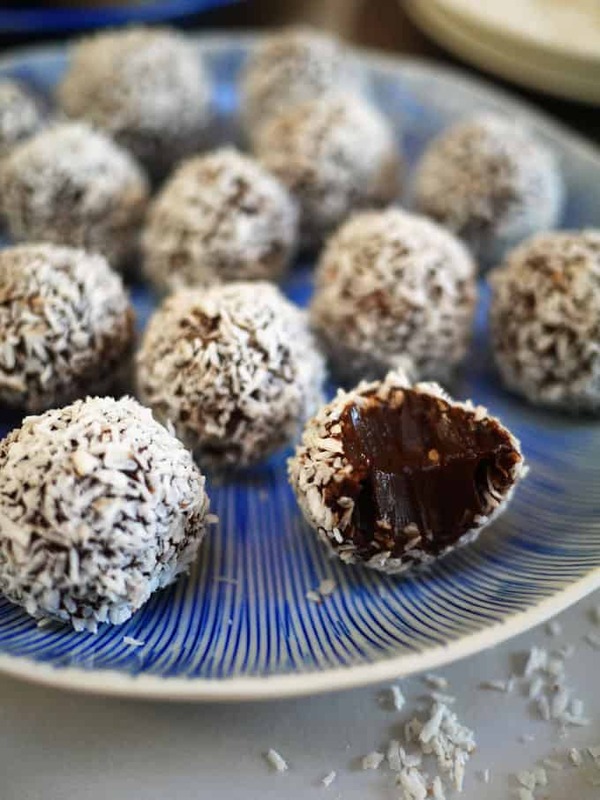 How about these.. Beetroot truffles (leave out the booze for kids) from Botanical Baker, Peanut Butter Oreo Truffles from The Crafty Larder or beautiful Brazillian Brigadeiros from Kavey Eats. Lovely and so impressive to give as gifts! Oh gosh! I love truffles like that! They normally get made in this house as gifts this time of year but this year I don’t trust myself! I can’t eat them but if I make them I may well sneak some…so sadly nobody will get them this year! Instead I will be making some healthier truffles! 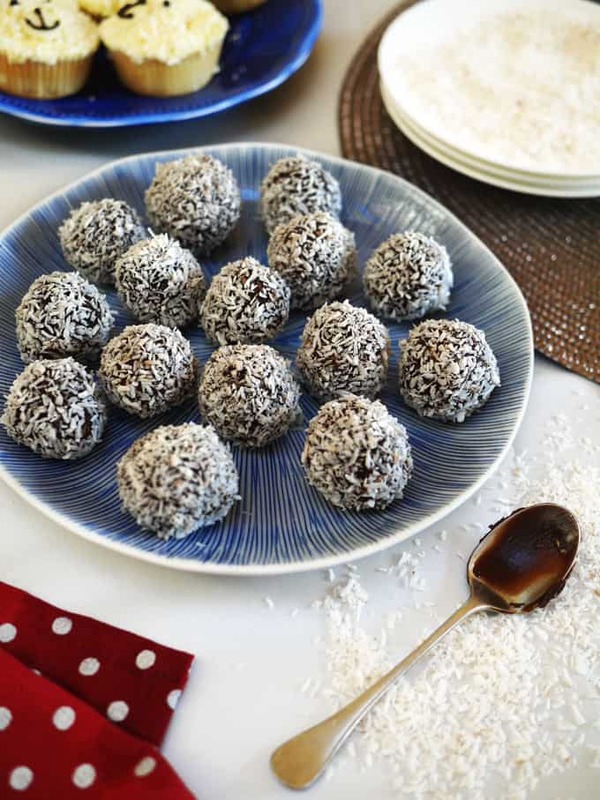 Your snowball truffles are such a great idea! I must make these! Also thank you to both you and Kerry for hosting #Festivefoodfriday I’ve really enjoyed taking part I’m sad it’s over so soon! I love homemade truffles, I’ve not tried making them with the boys as they tend to get fussy if their hands get all sticky, I should get them to help sometime and see how it goes. Oh these are adorable!! Low in sugar too!